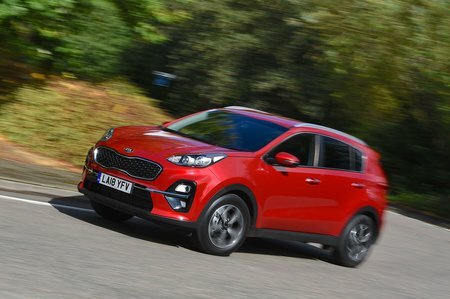 Kia Sportage 1.6T GDi ISG GT-Line 5dr 2019 Review | What Car? What Car? will save you at least £1,707, but our approved dealers could save you even more. This sporty trim builds on 2 grade with 19in wheels, black leather seats with red piping, dark chrome trim outside, LED front and rear lights and a black headlining. As the changes are all cosmetic, we’d save our money and stick to 2. Adding a turbo to the 1.6-litre petrol gives you a lot more punch, the option of four-wheel drive and an automatic gearbox and doesn’t hurt claimed economy too much. It doesn’t feel as strong as similarly powerful engines in rivals and emits and awful lot of carbon, though.